﻿ Handling - SIPI s.r.l. 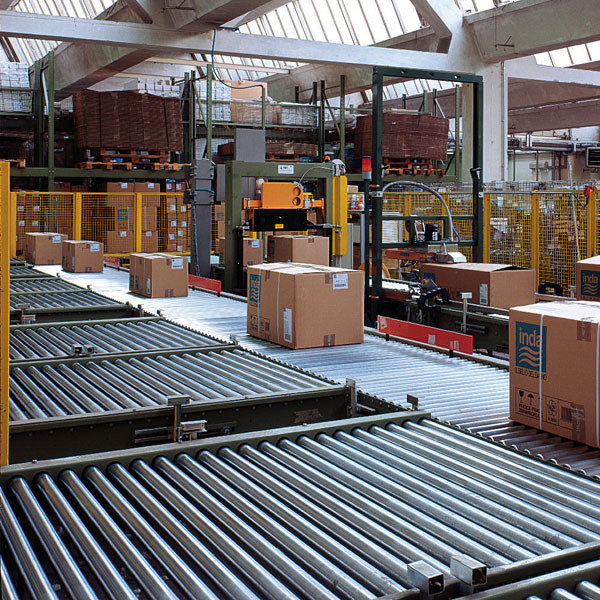 SIPI is responsible for analysing, designing and making lines for handling and packaging products or materials, typically parcels and pallets, on the basis of customer needs, using roller conveyors, belts, chain conveyors, shuttles and bridge cranes, equipping the lines with packaging, taping, strapping, wrapping, etc. equipment. The items we supply are completed by identification systems using bar codes and systems for weighing, volume detection and labelling. The whole system is controlled by a software management system interfacing with the corporate management system. 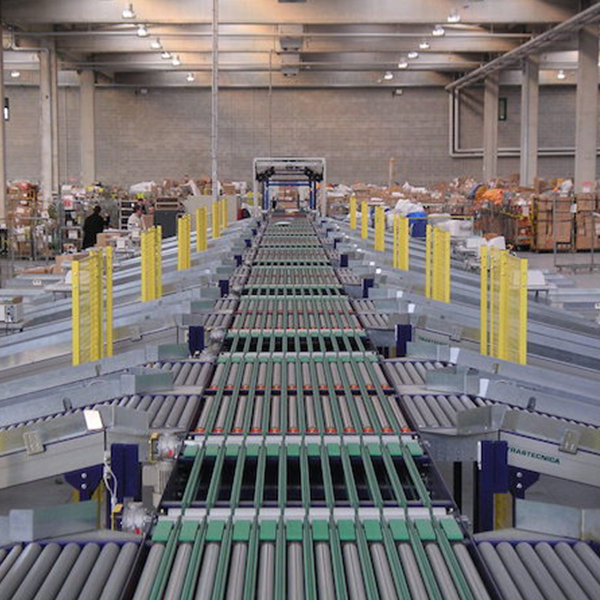 Handling occurs by sending the packages into the various areas in a synchronised and efficient manner, in order to avoid unnecessary movements and time wasting in the operation, simplifying supply logic and obtaining significant savings in overall logistics costs. End-of-line plant is used in all manufacturing industries and in the various sectors of production and logistics. 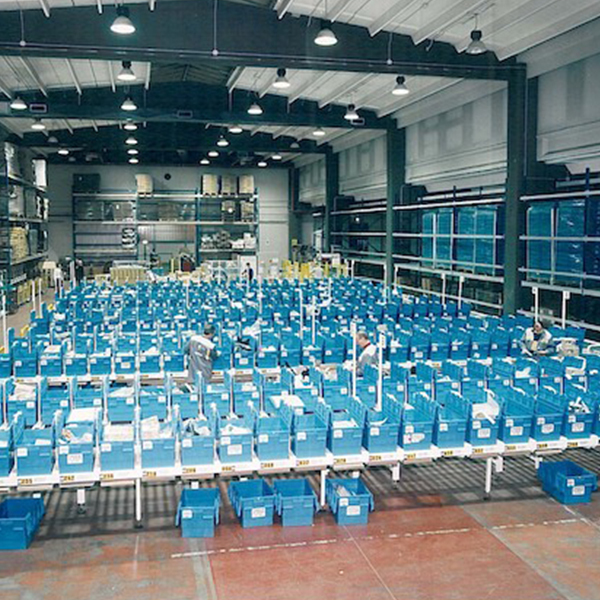 It is used in the various stages of order preparation, including control of the material before packaging, packaging and weighing of the package, checking the contents, volume detection, labelling, information management and sorting on palletising lines or outbound to dispatch. 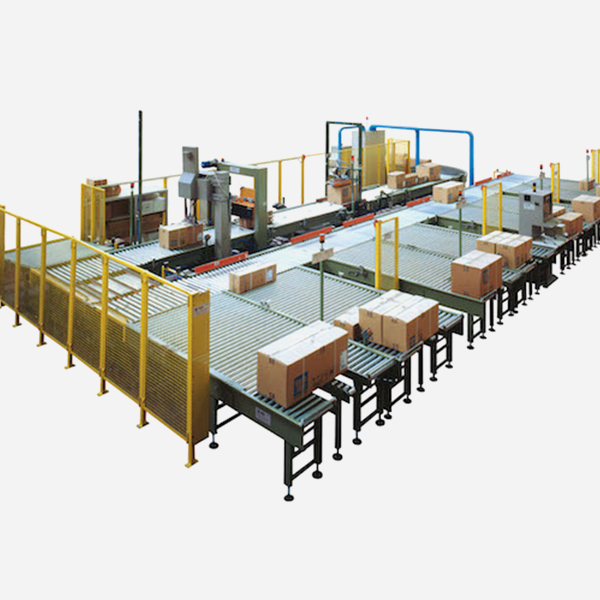 End-of-line plant for pallets is used in all manufacturing industries and in the various sectors of production. The pallets are prepared to then be weighed, labelled and packaged, then sent outwards for loading on the motor vehicles used for shipment. It is possible to automatically detect the size of the package. 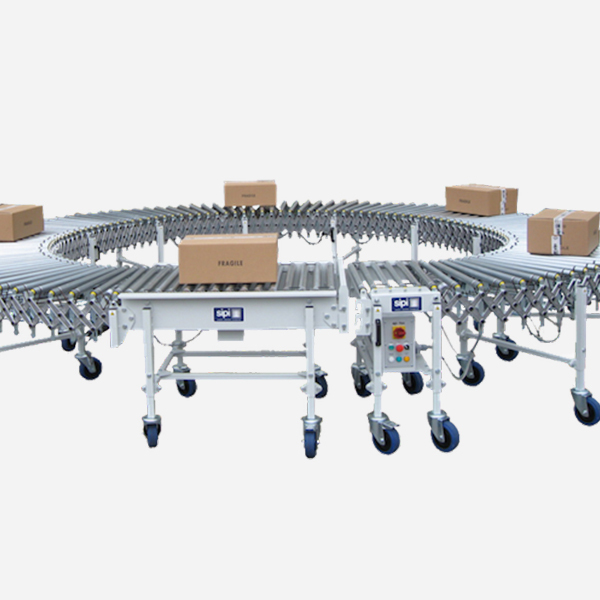 The Handling and Sorting systems made by SIPI have as their objective facilitating the decoding and sorting operations for large volumes of packages, based on predetermined criteria which can be varied according to urgent situations or the needs of the moment. In addition to barcode recognition the systems can be integrated with special cameras for the capture and data logging of the image and the size of each individual package processed. 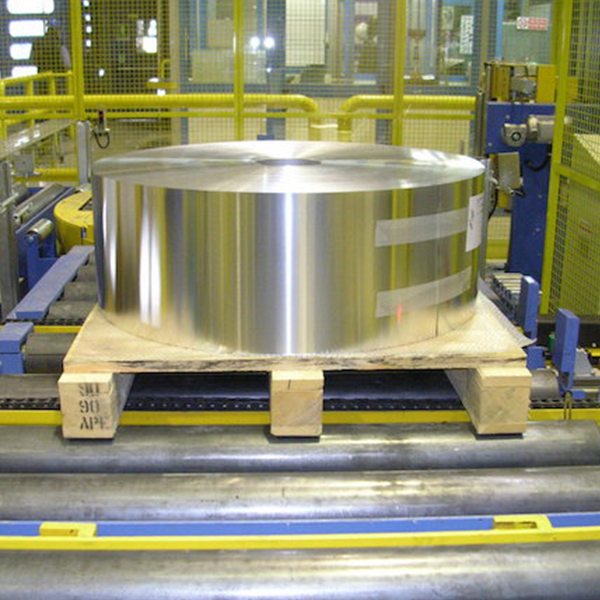 SIPI designs and creates, on the basis of customer requirements, order preparation and packaging lines. 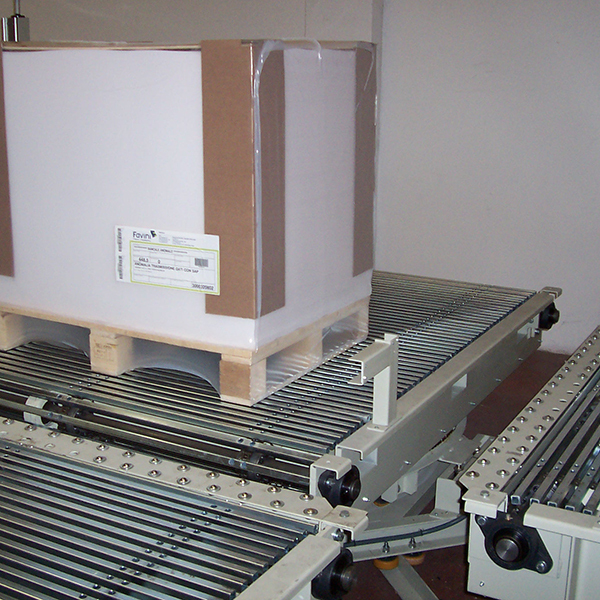 SIPI order preparation and packaging systems make use of devices for picking, Pick-to-Light, highlighting items to be inserted in the packages. 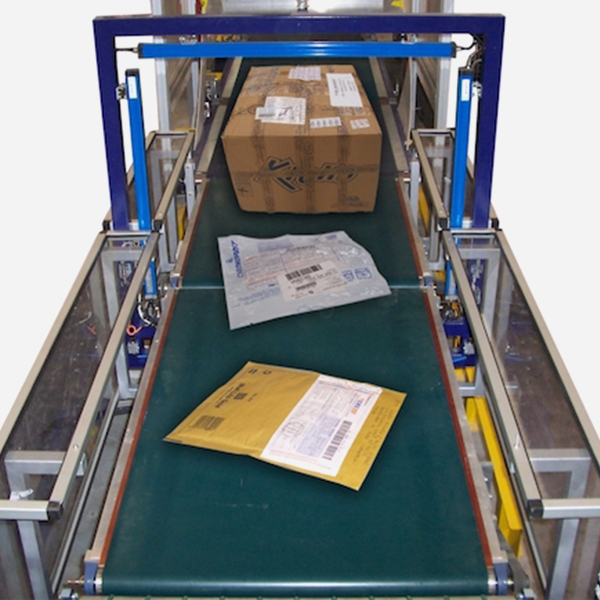 Roller conveyors, conveyor belts, chain conveyors, shuttles and bridge cranes handle the transport of the material and provide very varied devices for packaging, taping, strapping, shrinkwrap ovens, wrapping, etc. The plant is completed by identification, weighing, volume detection and labelling systems and system management software. 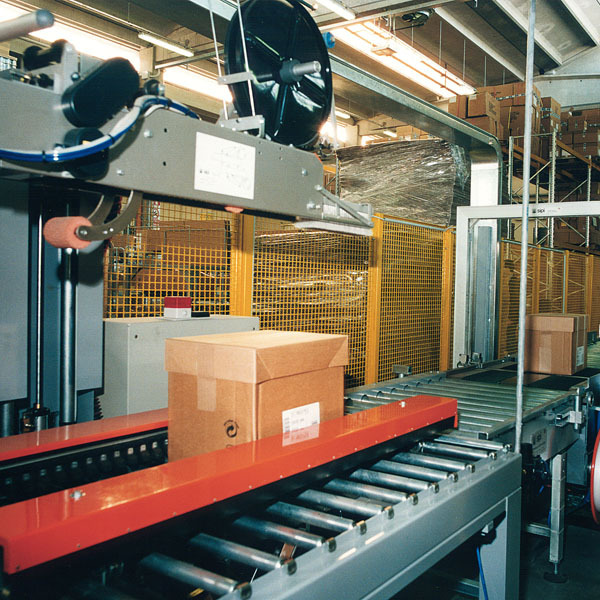 The SIPI packaging and order preparation systems use software for managing all the plant, interfacing to the corporate management system. The software can be customised according to customer requirements and stores data captured or entered manually in a database, with the opportunity to export it in text or csv format. 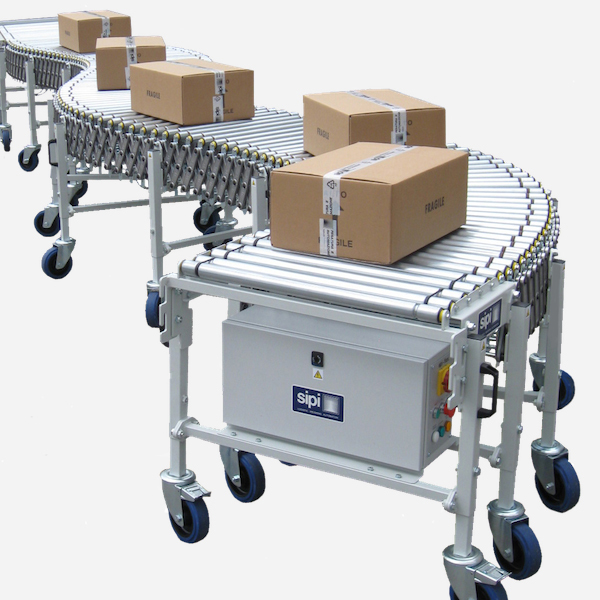 The Sipiflex extensible roller conveyors have a pantograph frame in aluminium, steel rollers and are equipped with ball-bearing joints which make them particularly flexible and easy to handle even by a single person. Height-adjustable as needed, easily expandable by connecting several modules together. In addition, it easily connects to existing plant, even following non-straight paths. 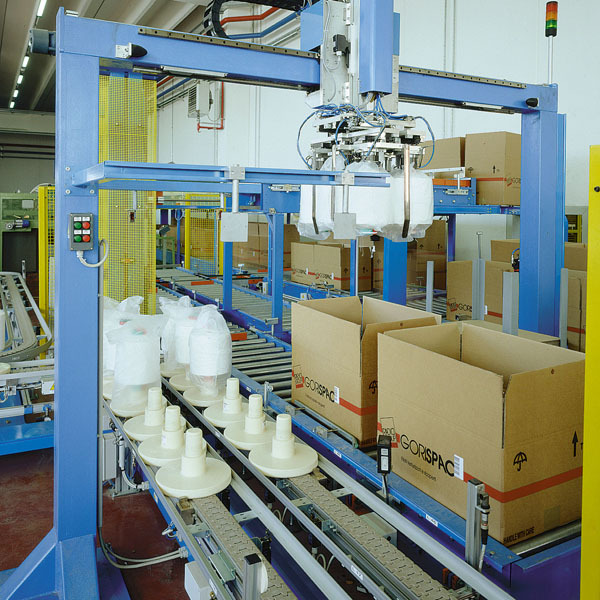 Palletising of packages can be performed using special robots, fitted with suitable clamps for gripping the package, and placed on a pallet in the required order. Palletising is managed by a dedicated program. 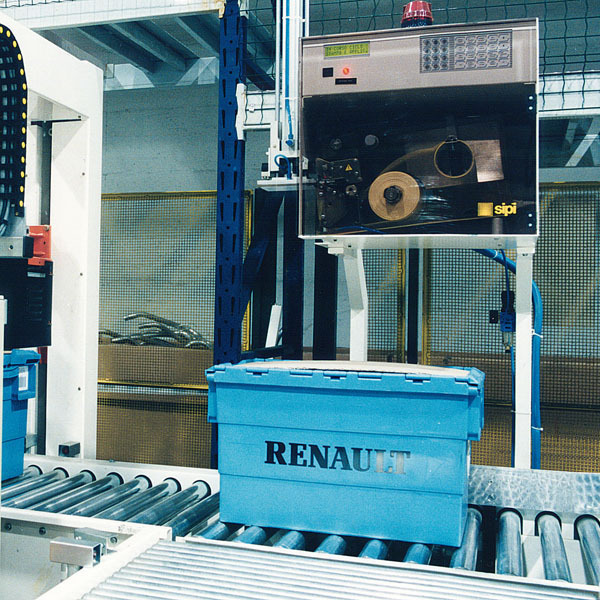 The packages are carried to the pickup point by transporters at the end of the packaging line. The SIPI robots and palletisers are ready to handle automatically any product type and can be associated with one or more barcode readers for identifying the product and thus managing a large number of products, pallets and pickup bays. 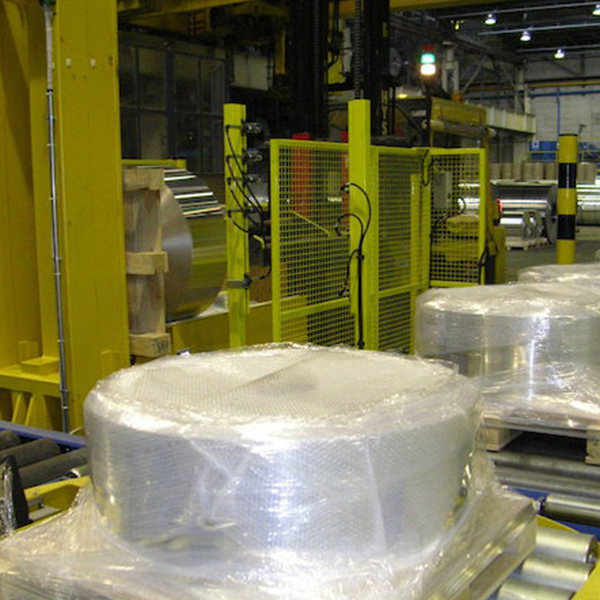 They can manipulate various products such as boxes, bundles, cans, crates and bags and have very compact dimensions. Some are equipped with numeric-control rotary axes and they have top-quality motors and gearboxes. 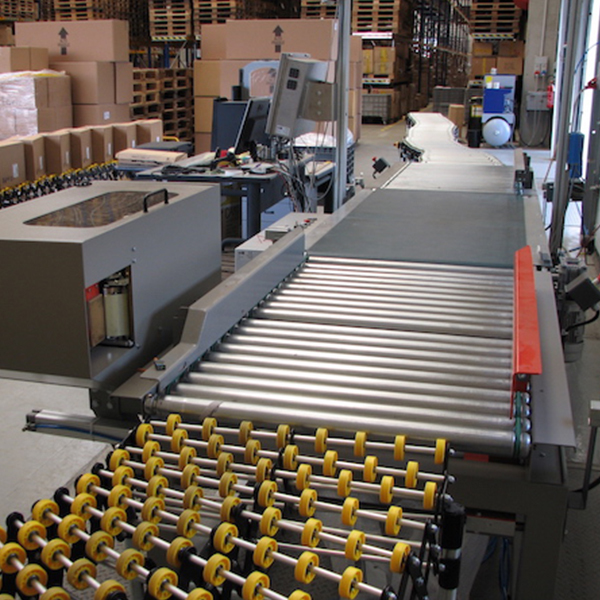 In the field of packaging systems, SIPI is able to provide a wide range of automatic, semi-automatic and manual devices for wrapping pallets and boxes. 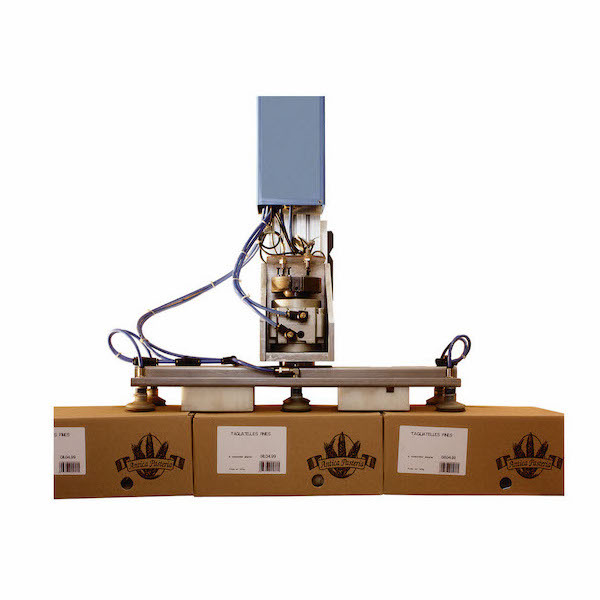 The same can be integrated with a weighing system capable of detecting the weight of the package during packaging operations. 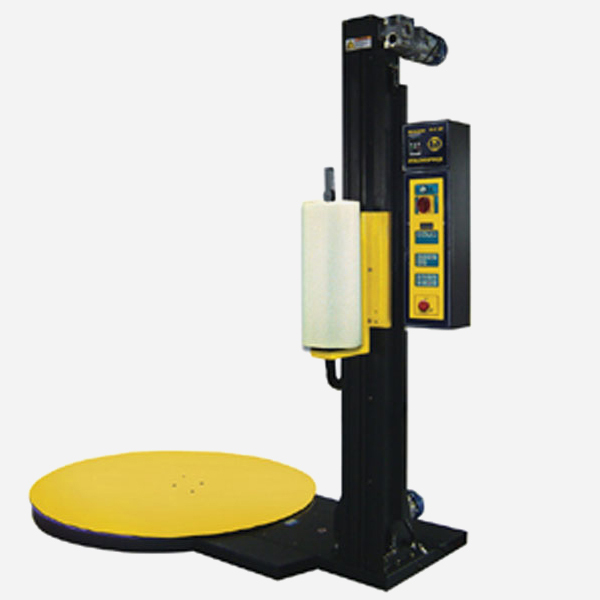 For the wrapping process of palletised loads, SIPI offers a practical, efficient “turntable” that is easy to use and at an affordable price.